It's Friday...and I'm doing my "happy dance"! 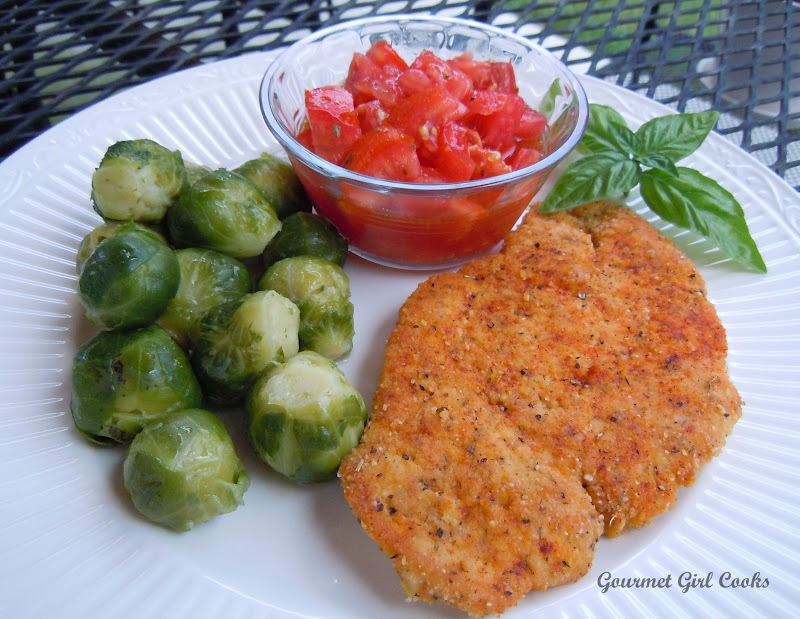 This evening I made "breaded" chicken cutlets for dinner and served them with steamed brussel sprouts and marinated tomato salad using tomatoes from our garden. Hubby also had a baked sweet potato with his meal. It was a delicious dinner to end the week with. I snapped a couple pics for you to see below as well as the simple breading recipe I used to coat the chicken with. Enjoy! Combine all breading ingredients (except paprika) in a shallow bowl. Beat eggs and all egg-wash ingredients in a medium bowl until well blended. 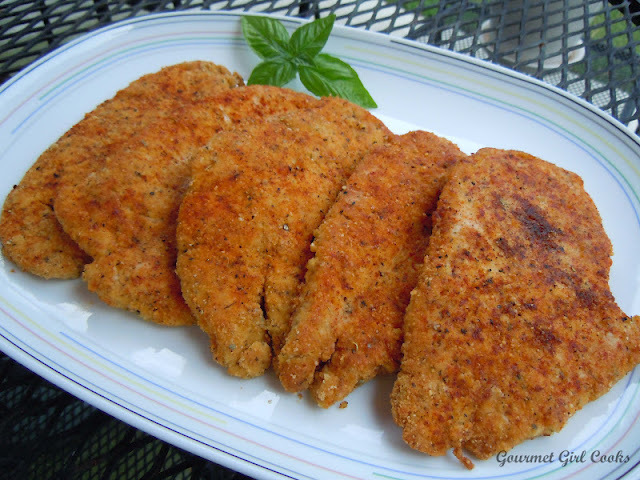 Dip chicken cutlets into egg-wash until evenly coated and allow excess to drip off. Roll cutlets into breading mixture until well coated and cook in a medium-hot non-stick skillet lightly coated with olive oil (1-2 tablespoons, depending on the size of your pan). Cook until lightly browned on both sides. Sprinkle with paprika and additional salt and pepper, if desired. Note: If you don't have coconut flour, substitute almond flour in its place.